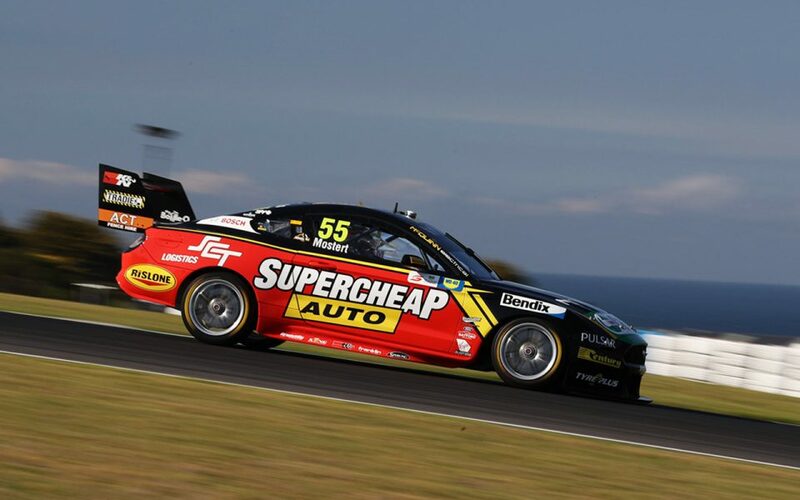 Fabian Coulthard led an all-Mustang top four in final practice for the WD-40 Phillip Island SuperSprint, as both Red Bull Holden Racing Team Commodores missed automatic Q2 places. A flurry of times after the chequered flag left Coulthard on top with a 1:30.1873s, to shade Shell V-Power Racing team-mate Scott McLaughlin by just 0.0141 seconds. 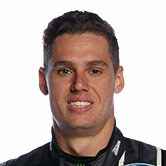 Saturday winner McLaughlin led the bulk of the 30 minutes, while the Tickford Mustangs of Cameron Waters and Chaz Mostert took third and fourth. James Golding was the top Holden in fifth and among the fastest 10 drivers going straight into Q2 of knockout ARMOR ALL Qualifying. A tough weekend for Triple Eight continued with Jamie Whincup and Shane van Gisbergen beyond that, 12th and 21st, and left to tackle the first segment. McLaughlin set the pace from the outset, turning a 1:30.6441s on his first flying lap that was nearly three tenths clear of Coulthard. Waters trimmed that advantage midway through, but it was restored to 0.2833s when McLaughlin logged a 1:30.5265s with nine minutes left on the clock. Improvements from Anton De Pasquale and Mostert into second place followed, which left McLaughlin's buffer at 0.1117s before the final runs. Golding marked the start of significant improvements by getting within 0.0758s of McLaughlin, who was then deposed by Mostert after the chequered flag came out. Waters then displaced his team-mate at the top, but incrementally quicker laps from McLaughlin and then Coulthard were in progress. In the end, Coulthard's 1:30.1873s was good enough to lead the way by 0.0141s over McLaughlin, while Mostert and Waters were also within 0.0468s. "They’ve definitely caught up," Coulthard said of the competition. "It shows that we rolled our car out very good and the others have caught up. "I think it’s the wind direction. It plays havoc here. Yesterday it was helping us and today not so much." 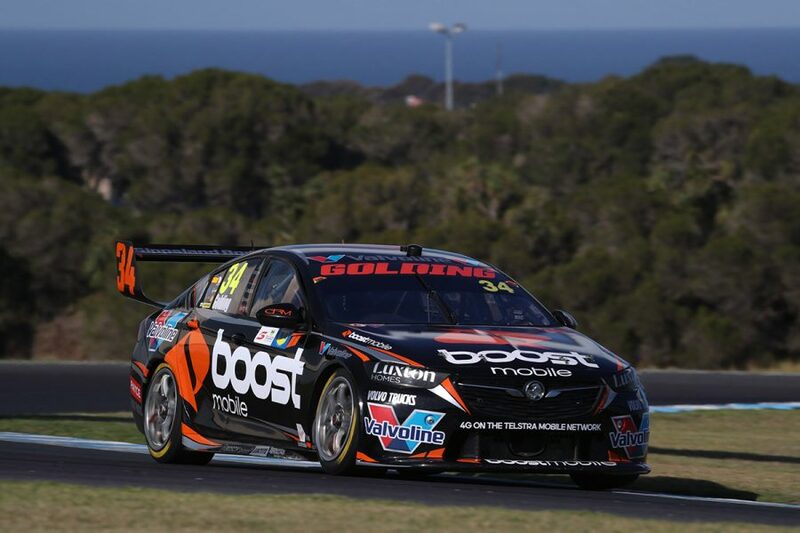 Golding, who raced from 24th to 13th on Saturday, took fifth for Boost Mobile Racing ahead of Mobil 1 MEGA Racing's James Courtney. "We made a few changes to the car off Practice 3, we could only base it off that because we didn’t get a run in qualifying, and it’s definitely better," Golding said. "Around here you’ve just get to get a nice smooth lap, it’s so on edge the whole corner because the corners are so long. "I was pretty happy with my lap, got it all together and obviously it makes a difference." Will Davison, Anton De Pasquale, Todd Hazelwood and Nick Percat grabbed the other Q2 places, Percat beating Saturday podium finisher Andre Heimgartner to 10th by just 0.0090s. Red Bull HRT pair van Gisbergen and Whincup were 15th and 17th with 60 seconds left. Whincup moved up to 10th briefly but was bumped down to an eventual 12th as van Gisbergen fell down the order and did not improve on his final flier. "We still haven’t found the right car around here, we changed another five or six things and didn’t really find any gold unfortunately," Whincup said. "I don’t think we’re getting lost, there’s something there that fundamentally isn’t quite right with the car, we just haven’t found it. "There’s over a 100 different things to try and I feel like we’ve gone through 50 or 60 this weekend, all the majors. "There’ll be gold there somewhere, we just can’t find it at this stage. "Where we’re dumping a heap of time is not getting off the corner down the straight. Definitely the area to look at is trying to improve the rear." 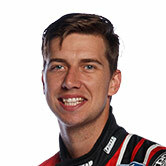 David Reynolds and Mark Winterbottom in 13th and 14th and 17th-fastest Rick Kelly are also entering Q1. Knockout ARMOR ALL Qualifying starts at 11:10am, and Sunday's 45-lap race at 2:15pm.